Russian President Vladimir Putin's special envoy for Afghanistan Zamir Kabulov met Foreign Minister Shah Mehmood Qureshi at the Foreign Office on Tuesday. The Russian special envoy said Pakistan has a vital role in the Afghan peace process. Kabulov appreciated Pakistan's role and efforts for Afghan peace and reconciliation, FO Spokesperson Muhammad Faisal said. 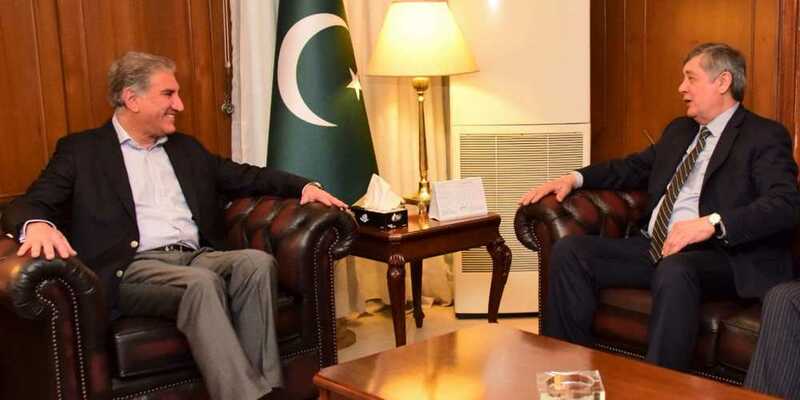 Foreign Minister Shah Mehmood Qureshi said that Pakistan would keep striving for peace in Afghanistan, as that is the only way peace and prosperity will come to the region.